In California, two children die of a disease thought to be nonexistent in the United States. Hours later, thoroughbreds at the Churchill Downs are dying of an unidentified virus. Called in to shed light on these enigmas, virologist Jack Bryne discovers that the two events are not only connected, they are deliberate acts of bioterrorism. Moreover, the deaths bear uncanny similarities to the Fifth and Sixth Plagues described in Exodus. 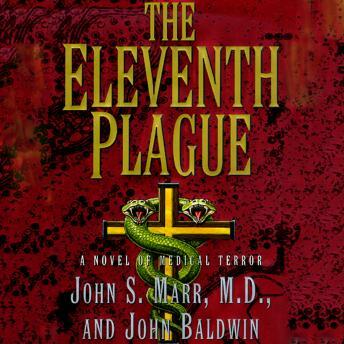 Every month sees the reenactment of another, even more catastrophic plague—the work of a morbidly brilliant serial killer with a dangerous knowledge of toxins and an obsession with biblical retribution. When the killer invades Bryne's worldwide medical computer network, Bryne himself is suspected by the FBI. Joining forces with his brilliant lab assistant, a TV newswoman, and a young Jewish religious scholar, Byrne must track down the maniac and stop him in time.